I just submitted the following review of Scorcese’s Shine A Light to Edge Magazine. I gave it a grade of D+. 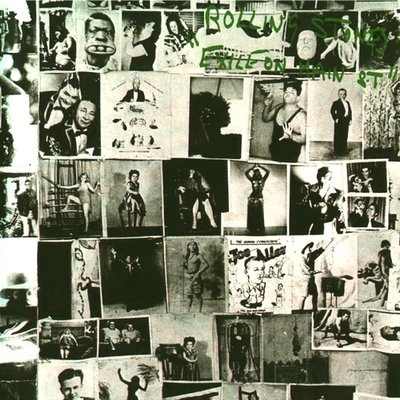 In 1998, The Rolling Stones released No Security, a live album that was one-hundred percent better than the studio album its tour was based on (Bridges to Babylon, 1997). 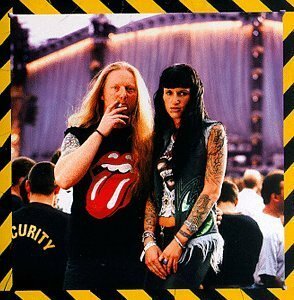 The album cover features a concert photo of a long-haired, tattooed road hog, smoking a cigarette and wearing a sleeveless Stones-Lips t-shirt. Next to him is his girlfriend, a tattooed, body-pierced, anorexic road warrior with jet-black hair. This was the Stones! This was the band that released Exile on Main Street, that presided over murder and mayhem at Altamont. No Security was their best album in 17 years and the band hadn’t sounded better in 25 years. I was at one of those shows. On stage, Mick Jagger was Dionysus himself, stirring all us male, female and gender-bending bacchae into a warped frenzy. Keith Richards pounded out licks on his rhythm guitar that were more thrilling than any battery-operated stimulant known to man or woman. Like Dylan with his last three albums, the Stones proved in one fell swoop that age means nothing; that, at any age, true rock geniuses can kick out the jams if they want to. The key phrase there is “if they want to.” For that same 1998 tour, PBS filmed a Stones concert at the St. Louis TWA Dome that had all the sinister menace of an ice-cream social. There were no Hell’s Angels working security. There were no savage groupies rushing the stage. Mick and Keith worked the crowd of grownups with about as much daring as a clown at a First Communion party. And it’s not that they’re too old for their old antics now. Like I said, I was at one of the 1998 shows where they at least came close to replicating their Seventies salaciousness. What happened was that the Stones had sold out, become house-broken and user-friendly. And I’m afraid they gave Martin Scorcese’s Shine A Light the same PBS-treatment. You know you’ve blunted your own edge to a dull death when your emcee is Bill Clinton in his tailored suit; when Hillary is just dying to introduce her elderly mother to your band. This film was shot live at an August 2006 charity concert for the William J. Clinton Foundation (on Clinton’s birthday) at the 2,800-seat Beacon Theater in New York City. The cost per ticket for this intimate affair ran into the thousands. Thus, I doubt the good folks on the No Security cover and their ilk were in attendance. Watching this exquisitely filmed benefit, however, you do see a lot of Susie Sunshine blondes and Midtown investment-banker types. You also see from the close-ups of their faces that they know almost none of the words to the songs. Scorcese meant well. He did a great job of directing and editing too. But he picked the wrong show to film. Scorcese intersperses into the film ample Sixties and Seventies interviews with Mick, Keith, and drummer Charlie Watts. In some, Mick is making nice with British authority figures who find the Stones’ music and influence too ribald. (If you ask me, Mick has carried this diplomacy way too far, especially over the past couple decades. Artists shouldn’t have to apologize for their work.) In several other clips, you see the Stones as twenty and thirty-something rockers, fielding questions from interviewers who want to know how long the band thinks it can keep its act up. Okay, Marty, we get the point! They’re old and they’ve lasted! Can we move on now? 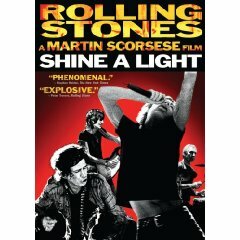 Scorcese also films the opening sequences of Shine A Light in black-and-white, as if to harken back to the Stones’ salad days in Swinging London, an era which birthed timeless black-and-white rock films like Hard Day’s Night and Don’t Look Back. But The Stones aren’t living their 1960s glory now that they’re in their sixties. Nor should they. Lest I leave the wrong impression, let me make clear that I’m not asking the Stones to do more X-Rated shows or start barroom brawls. For the past 15 years, what I’ve been asking them to do is precisely what they did in the Buddy Guy sequence of Shine A Light: Go back to your blues roots, Stones. Do what Dylan’s doing. Slow it down. Don’t try keeping up with know-nothing young bucks (though I do like The White Stripes – good choice there). Dig deep for soulful songs again. Stop pandering to stadium effects; you got enough money already.